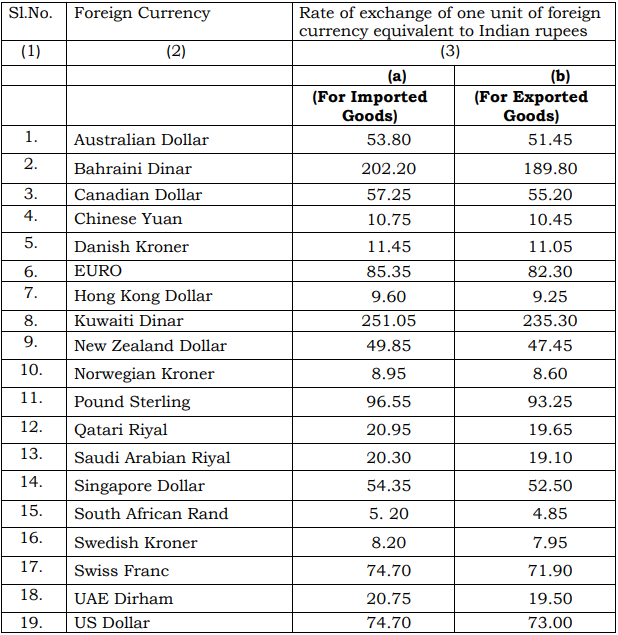 Central Board of Indirect Taxes and Customs (CBIC) has notified the rate of exchange of one unit of foreign currency equivalent to Indian rupees relating to imported and export goods, in its notification no. 90/2018 - Customs (N.T.) dated 1st November, 2018 (w.e.f. 2nd November, 2018).